He declined to testify in his own defence, and for months he dodged the media, first committing to - and then sidestepping - scheduled interviews like a running back avoiding tackles. Last week, O. J. Simpson finally sat down for a live TV interview. 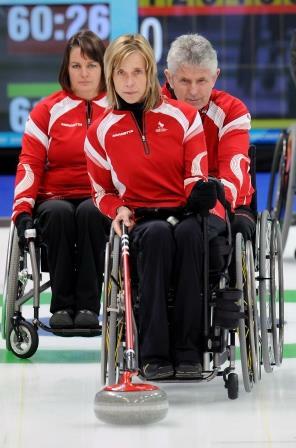 Sonja Gaudet (née Melis), Paralympic wheelchair curler (born 22 July 1966 in North Vancouver, British Columbia). A three-time Paralympian, Gaudet won gold for Canada at the 2006 Paralympic Winter Games in Turin, 2010 Paralympic Winter Games in Vancouver and 2014 Paralympic Winter Games in Sochi. She was the first wheelchair curler ever to win multiple Paralympic gold medals. Gaudet is also a three-time world champion, having helped Canada win a gold medal at the 2009 World Wheelchair Curling Championship in Vancouver, 2011 World Wheelchair Curling Championship in Prague and 2013 World Wheelchair Curling Championship in Sochi. Stan Leonard, golfer (born 2 February 1915 in Vancouver, BC; died 15 December 2005 in Vancouver). Stan "Stosh" Mikita, hockey player (b at Sokolce, Czech 20 May 1940; died 7 August 2018). Born Stanislaus Gvoth, he took the name of his uncle after moving to St Catharines as a boy. He played junior hockey for the St Catharines Teepees and joined the Chicago Black Hawks for his first NHL season in 1959-60. Steve Collins, ski jumper (b at Thunder Bay, Ont 13 Mar 1964). Stephen Charles Fonyo, "Steve," runner (b at Montréal 29 June 1965). Despite losing most of his left leg to bone cancer at age 12, Fonyo ran across Canada in a "Journey for Lives" to raise money for cancer research. Steve Nash, basketball player (born 7 February 1974 in Johannesburg, South Africa). Nash is widely considered the greatest Canadian basketball player of all time. He is a two-time National Basketball Association (NBA) Most Valuable Player (MVP) and the first Canadian to win the award. Nash is an eight-time NBA all-star and ranks third on the NBA’s all-time assists leaderboard with 10,335. He has represented Canada in international competition and led the Canadian Senior Men’s National Team to the quarter-finals of the 2000 Sydney Olympics. Nash is a three-time winner of the Lionel Conacher Award, given to Canada’s best male athlete, and in 2005, he won the Lou Marsh Trophy as Canada’s top athlete. In 2007, he was inducted into the Order of Canada. Nash was inducted into the Naismith Memorial Basketball Hall of Fame in 2018. AT A MEXICAN food cafeteria on the edge of downtown Dallas, they know right away it's Steve Nash coming in the door. He's in jeans, a long-sleeved T and a light jacket, but you can't miss the shaggy hair, the shy smile and the fact that, in this town especially, he's a major dude. YOU NEED TO understand the way of the point guard. This isn't just a position on a BASKETBALL team, this is a calling, a tradition, a mantle of responsibility handed down like a sacred trust - Keeper of the Ball - lacking only secret handshakes and sworn oaths. 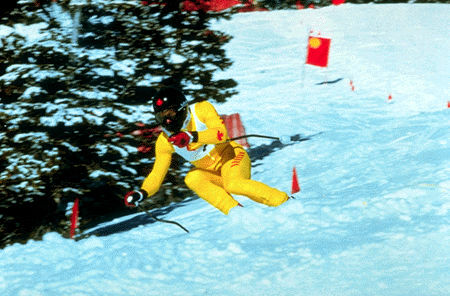 During 10 years of international racing Steve Podborski won 8 World Cup races to become the most successful Canadian male skier to date. He was made an Officer of the ORDER OF CANADA in 1982. Stephen "Steve" Gregory Yzerman, hockey player, general manager (born 9 May 1965 in Cranbrook, BC). National Hockey League (NHL) superstar Steve Yzerman, a career Detroit Red Wing known for his exceptional sportsmanship and leadership abilities, is the longest-serving captain in the league's history. 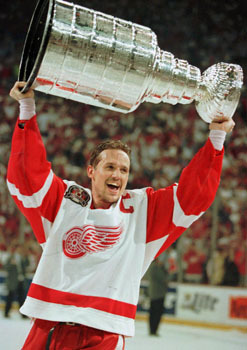 Yzerman was captain of the Detroit Red Wings from 1986 to 2006, and led the team to three Stanley Cup victories. In 2002, he won an Olympic gold medal as part of the men’s hockey team. He was also executive director of the men’s hockey teams that won Olympic gold in 2010 and 2014. Yzerman became vice president of the Detroit Red Wings following his retirement as a player, and in 2010 became general manager of the Tampa Bay Lightning. There are stories for every scar on Steve Yzerman's otherwise handsome mug, and they are not for the faint of heart. They tell of a man who, though comparatively slight by modern National Hockey League standards (five-11, 185 lb. ), isn't afraid of the rough going. In 2005, to commemorate the 60th Anniversary of the end of the Second World War, Canadian celebrities spoke about the meaning of remembrance as part of the Stories of Remembrance Campaign, a project of CanWest News Service (now Postmedia News), the Dominion Institute (now Historica Canada) and Veterans Affairs Canada. This article is reprinted from that campaign. Sunny's Halo, racehorse (b at Oshawa, Ont 11 Feb 1980; d at Bullard, Texas 3 June 2003). Sired by Halo out of Mostly Sunny, he was only the second Canadian-owned and -bred thoroughbred to win the Kentucky Derby (after NORTHERN DANCER). Owned by D.J. Susan Marie Nattrass, trapshooter (b at Medicine Hat, Alta 5 Nov 1950). Sylvia Burka, speed skater, cyclist, coach (b at Winnipeg 4 May 1954). Through hard work and determination, she overcame a visual handicap to become a world-class athlete in 2 sports. Despite losing an eye in a childhood accident, Burka was Canada's national junior SPEED-SKATING champion by age 15. Sylvie Daigle, speed skater (b at Sherbrooke, Qc 1 Dec 1962). 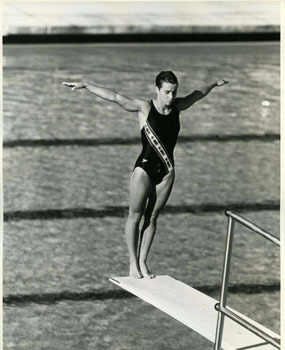 Daigle discovered speed skating at the age of nine when she went to the arena to play hockey and met some speed skaters who invited her to join them. It was the beginning of a real passion. It was not until after Waldo's retirement, however, that Sylvie Frechette blossomed. She exploded onto the world stage by winning the 1991 world solo championship and was the early favourite to capture gold at the 1992 Olympic Games. 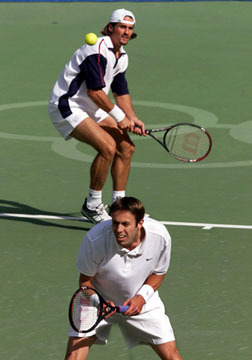 In 1999 Sébastien Laureau had one of the most memorable professional tennis seasons ever for a Canadian tennis player.